It has been a while since I reviewed any chocolates. A burned tongue was the evildoer. It simply eradicated a part of my taste, making everything very dull on the palate. Not your ideal way to taste the delicate flavours in a product like chocolate. Luckily everything healed by now, but it makes you appreciate the sense of taste you have and the difference it makes once it is gone. Anyway, lets focus on the task, or should I say privileged ahead. During the Origin Chocolate event, I had a great chat with the people of the promotional stand of Ecuador. Not only did they bring the illusive Pacari products, but they handed me a bar of Mayta chocolate. A brand I hadn’t heard of until then. Always a treat to taste something new. 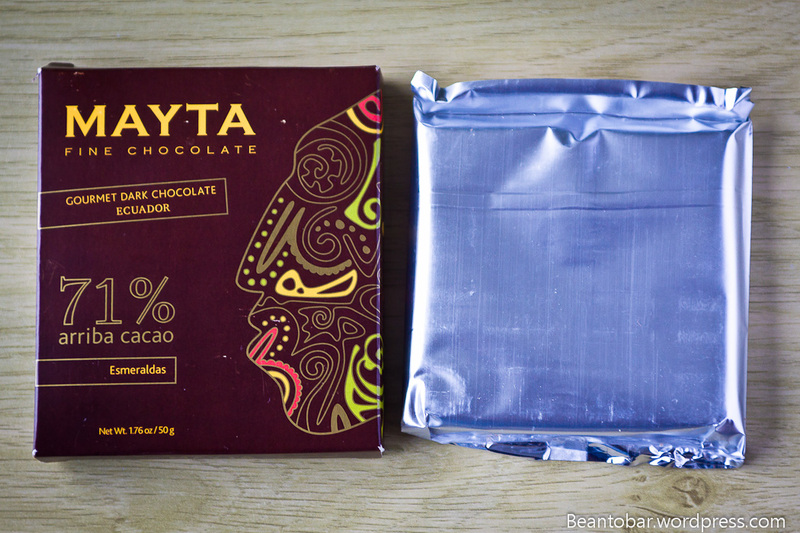 Mayta is an Ecuadorian brand, using national grown cacao to make gourmet chocolate bars, bean-to-bar. This particular bar was made with Arriba (Nacional) beans from the Esmeraldas, grown deep within the coastal plains of Ecuador. The bar comes in a rather nice looking square box. The imprint unmistakably puts it in the South-American territory, as it uses an Inca style mask. Clean and simple text provide you with all the details needed. The chocolate itself is wrapped in a cellophane blister, wich certainly does the protecting part, but was a bit of a hassle to open and makes it pretty impossible to rewrap the bar afterwards. Guess I’ll have to enjoy this chocolate within a short period. Colour: obviously dark ebony with a red/purple hint. 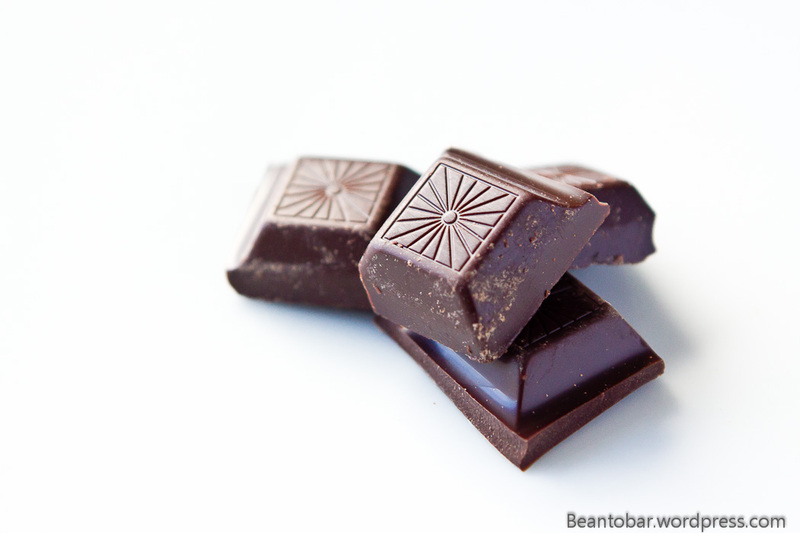 Aroma: This chocolate doesn’t produce a particular strong aroma. Some nice green cacao smells are present, slightly acidic and a hint of woody aromas were detected. 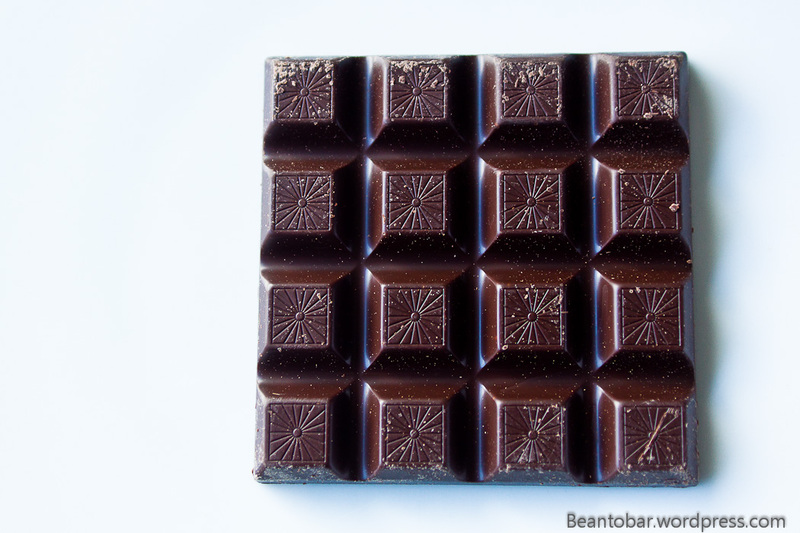 Taste: The bar starts gently with a brief burst of raw cacao followed by lots and lots of deep chocolate. 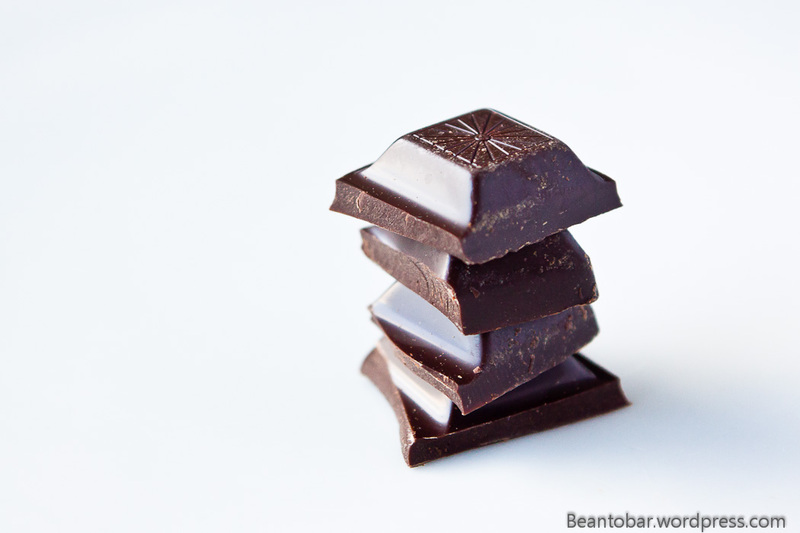 It melts nice and slow and has a very smooth texture, releasing more waves of chocolate, before a subtle sweetness brings delicate dried yellow fruit aromas to the palate. The taste is very harmonic as no elements comes forth strong and overwhelming, they rather mix and mingle to produce a very satisfying chocolate experience. At the very end of the melt, one suddenly notices some tannins adding more depth to the overall taste. 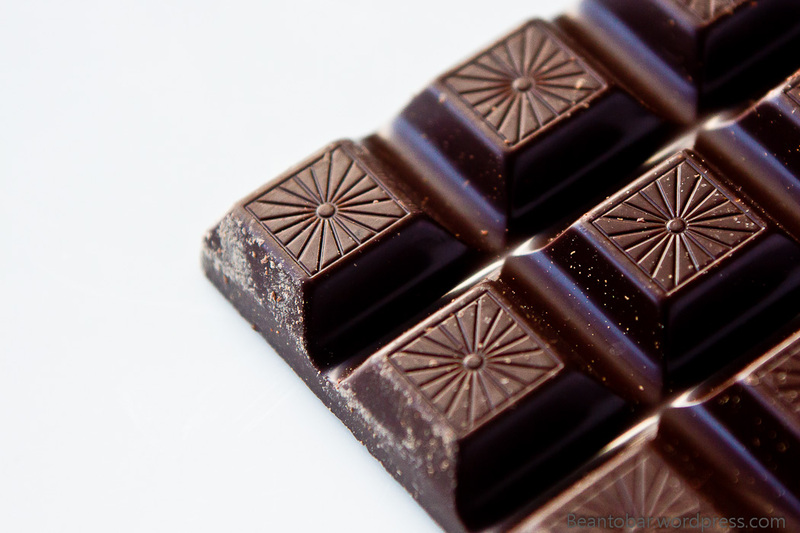 The aftertaste lasts just long enough to prolong the enjoyment and brings a slight bitter and woody touch as the last crumbs of chocolate melt on the tongue. A gentle, but high quality chocolate delight, this bar is to be enjoyed pure while paying attention to all the aromas it provides. Another great chocolate I was privileged to taste. Previous Post Cocoa… a close encounter of the third kind! We have great news: Chocoweb is distributor for Mayta in the EU. Available in our webshop (from 14th of april 2014) and, soon after in various shops in The Netherlands, Belgium et cetera.